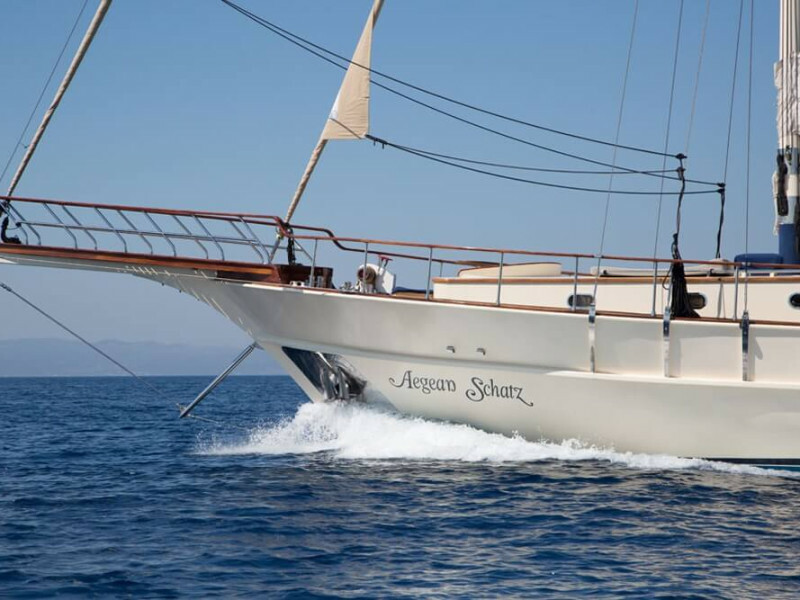 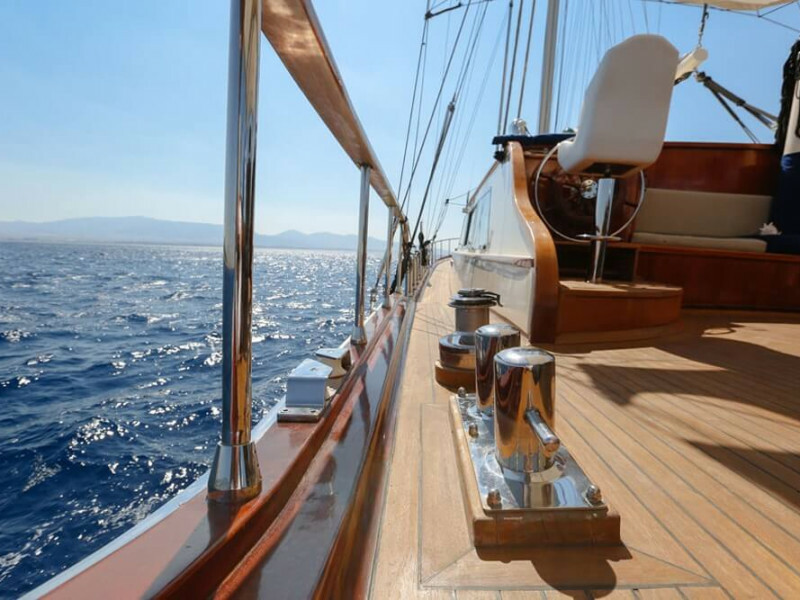 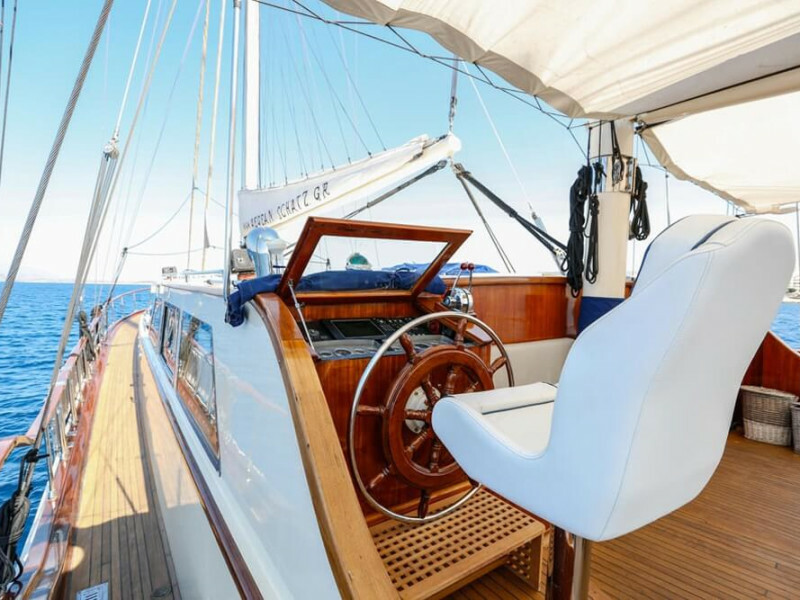 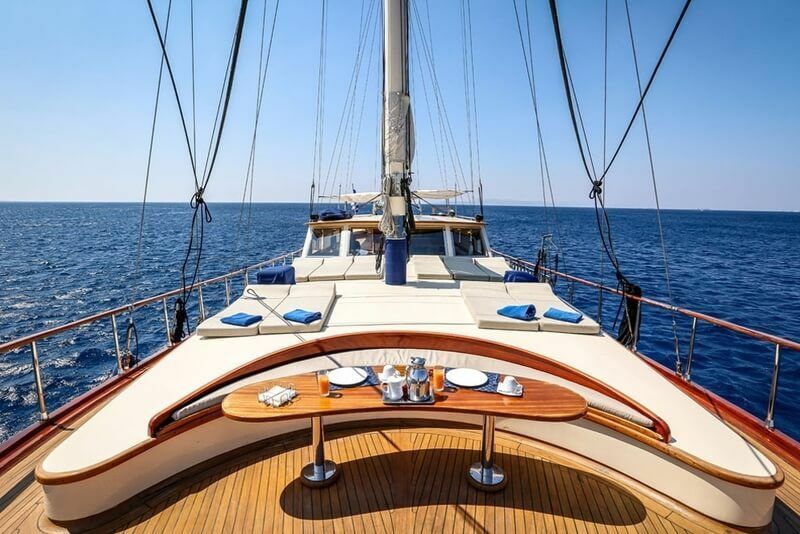 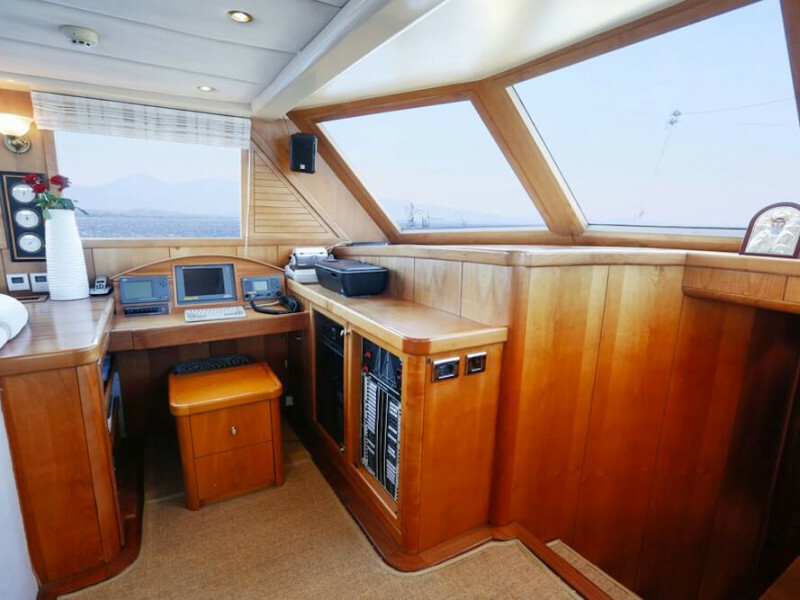 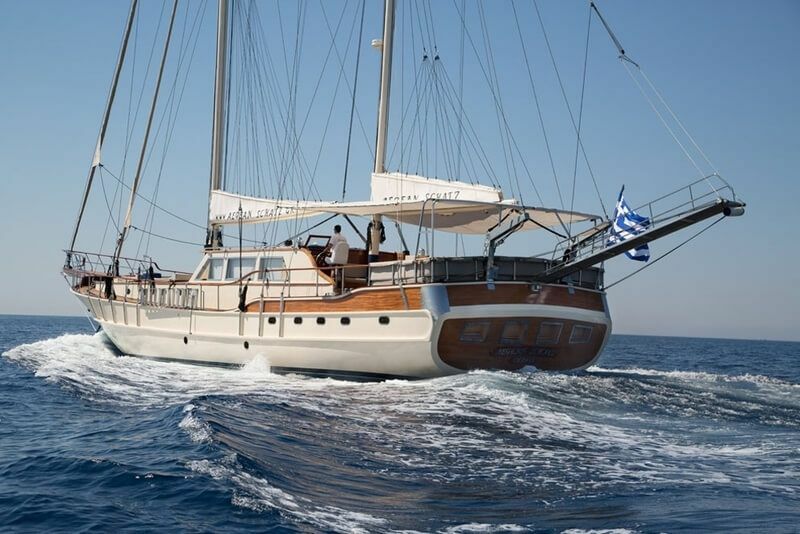 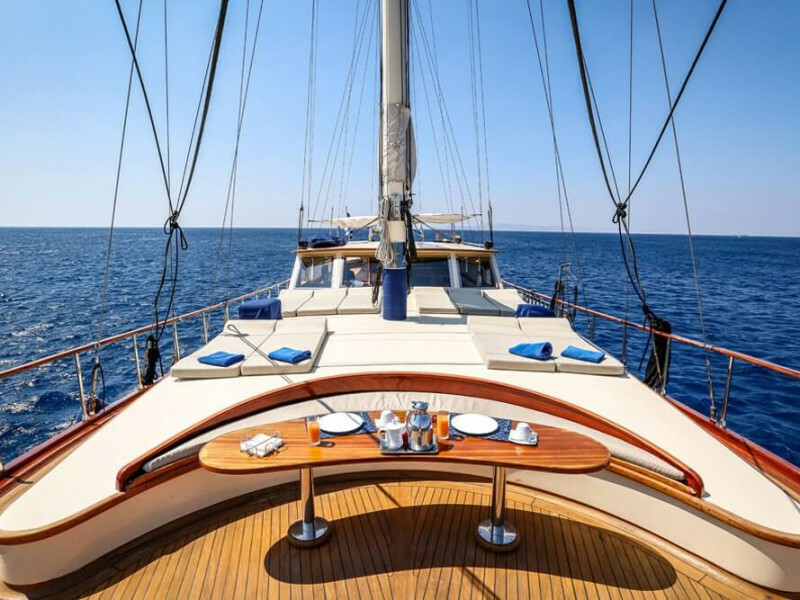 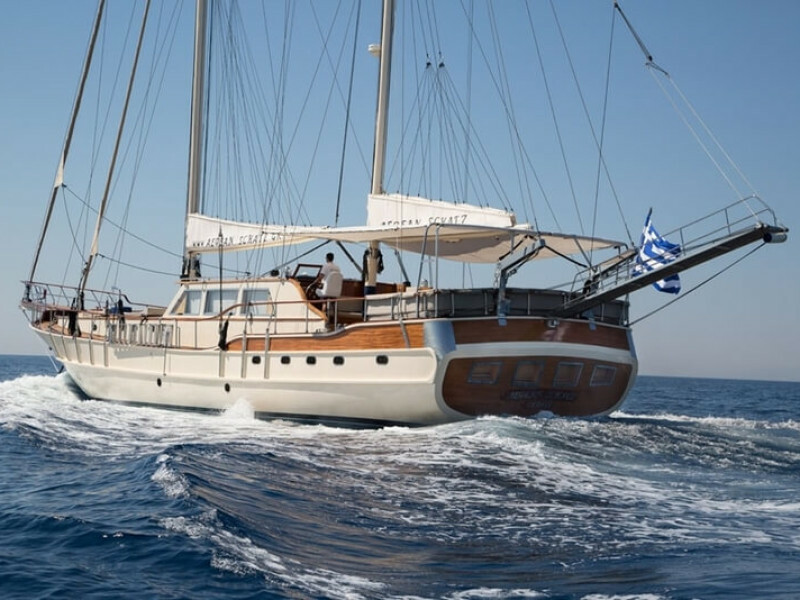 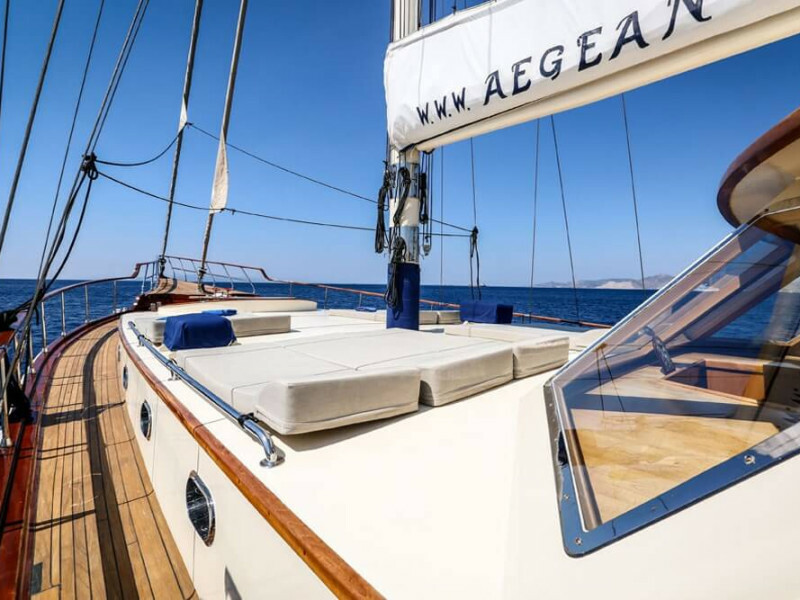 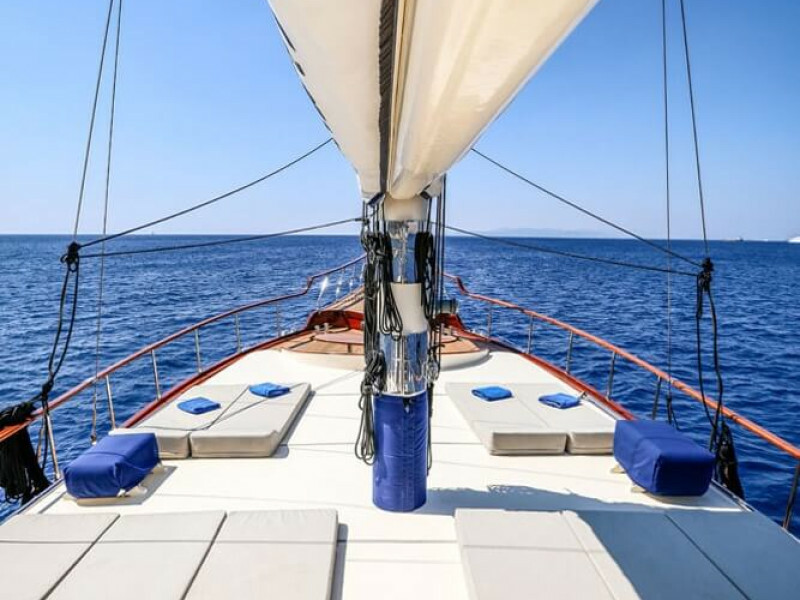 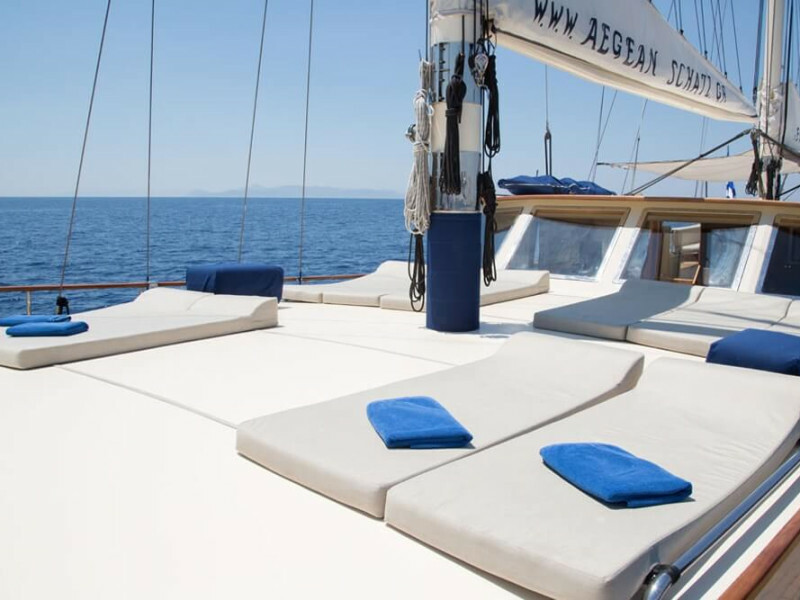 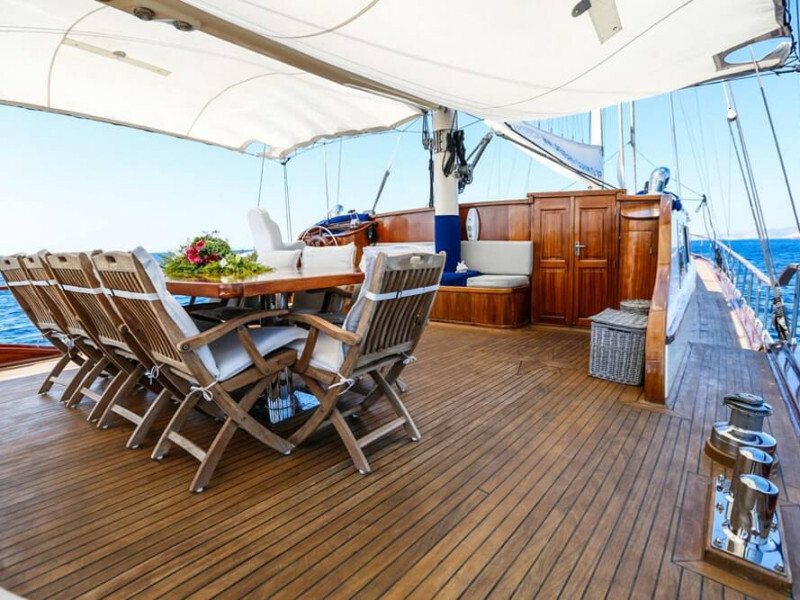 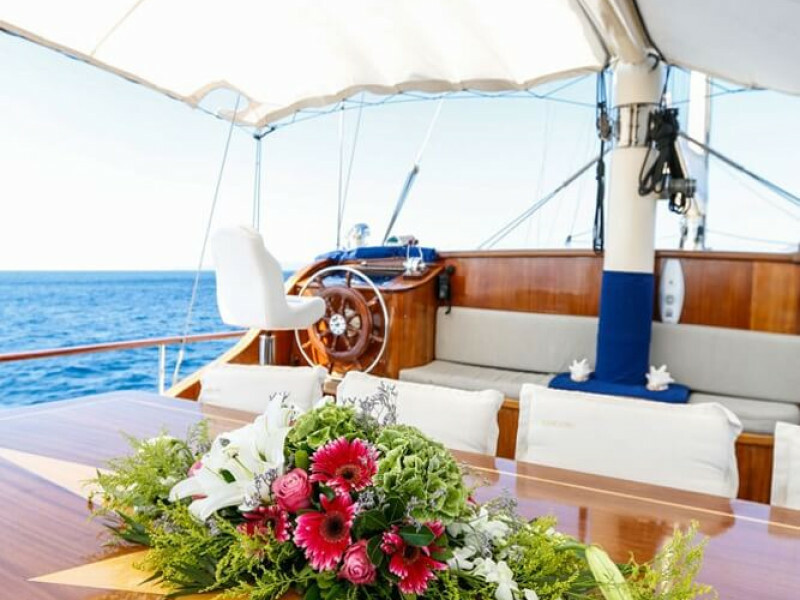 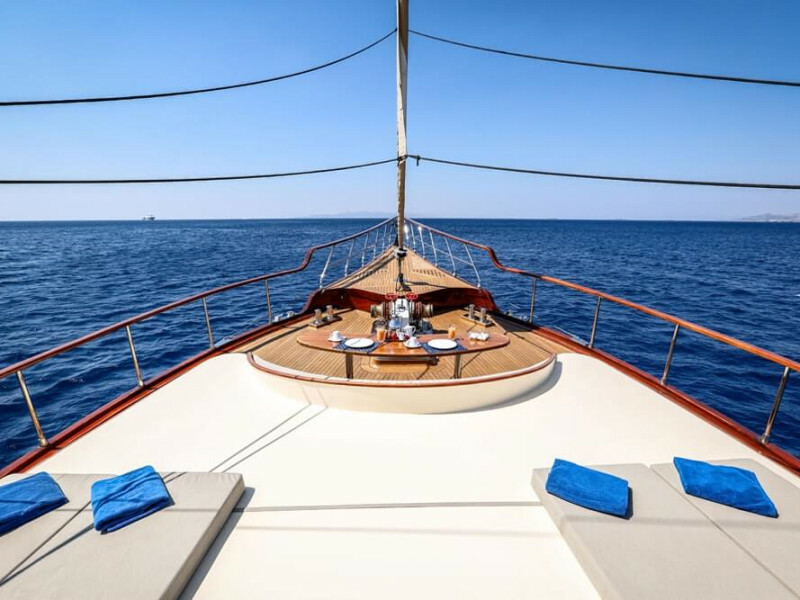 Sailing yacht Aegean Schatz is a classic motor sailer that combines the highest levels of service and luxury with the latest sailing technology for East Med charters. 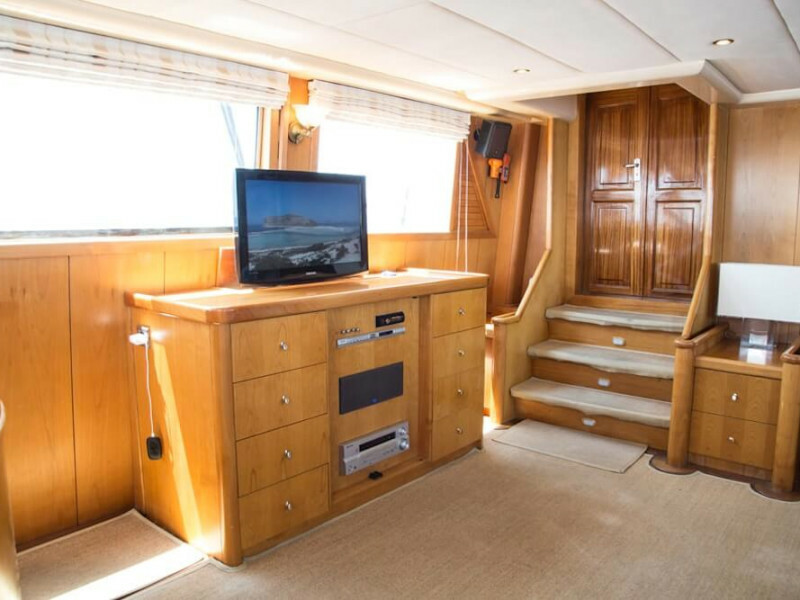 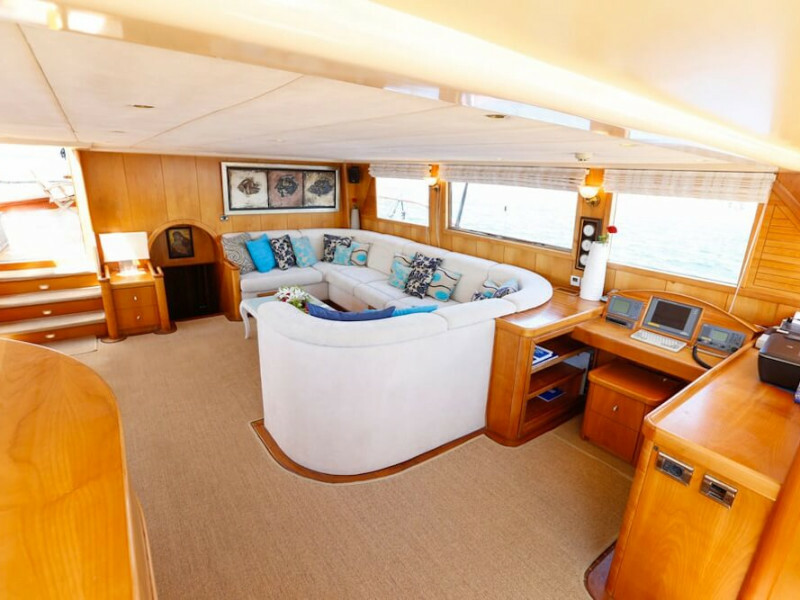 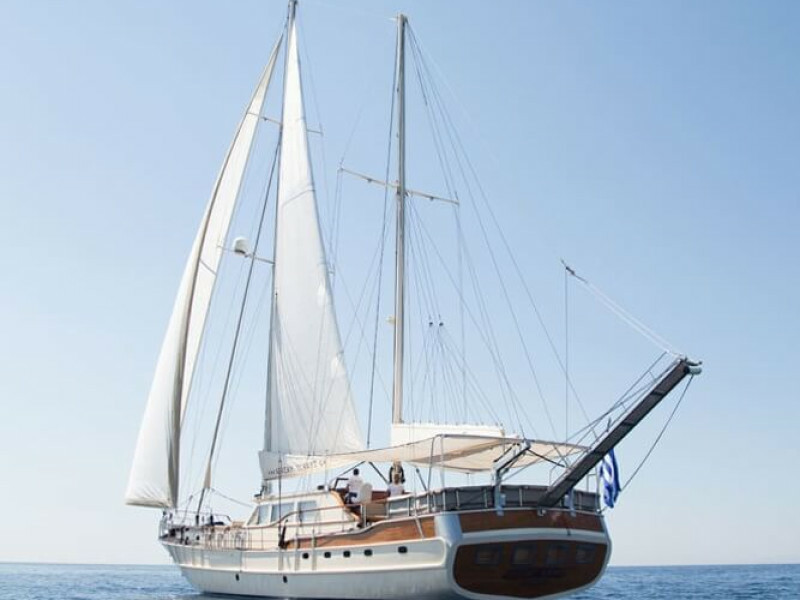 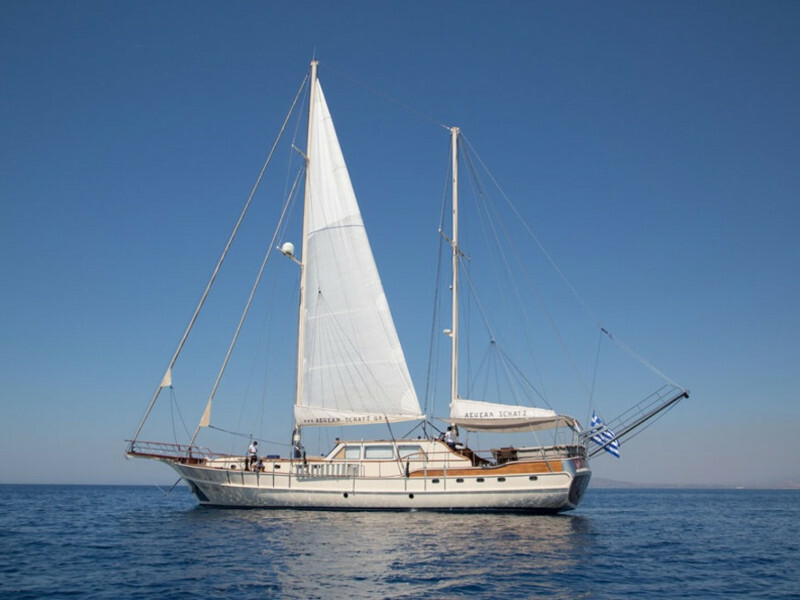 Built in 2006, this Turkish gullet is ideal for a traditional and comfortable sailing adventure with excellent entertainment options. 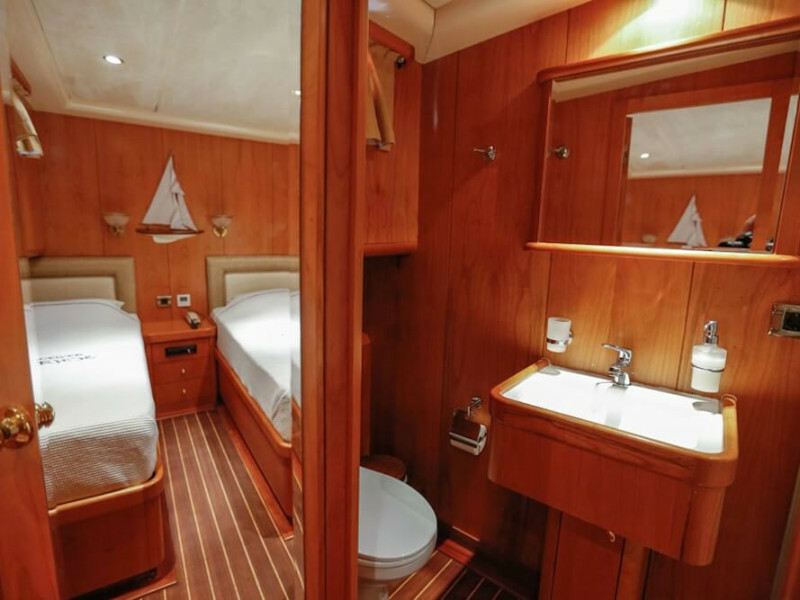 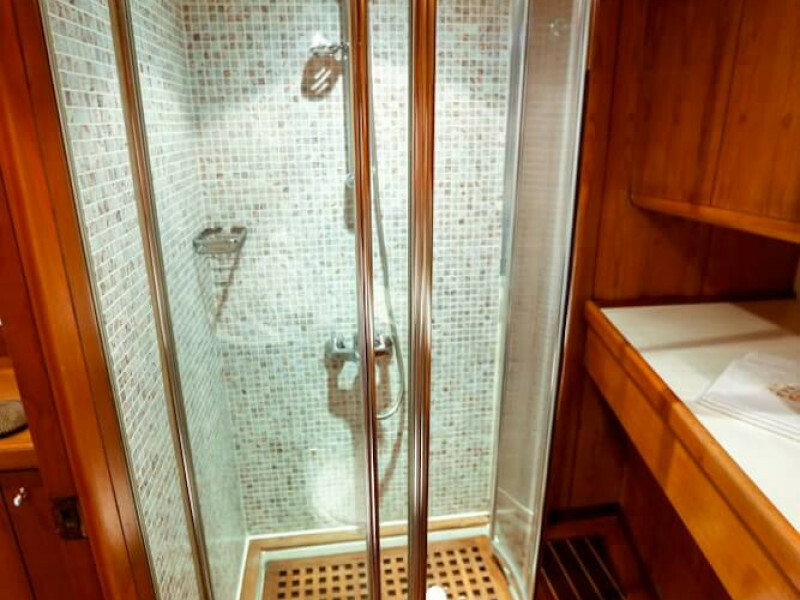 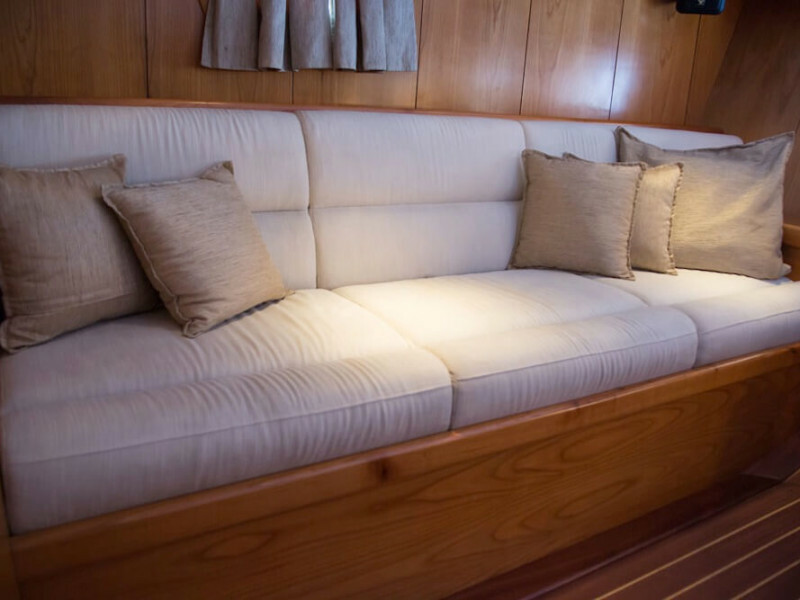 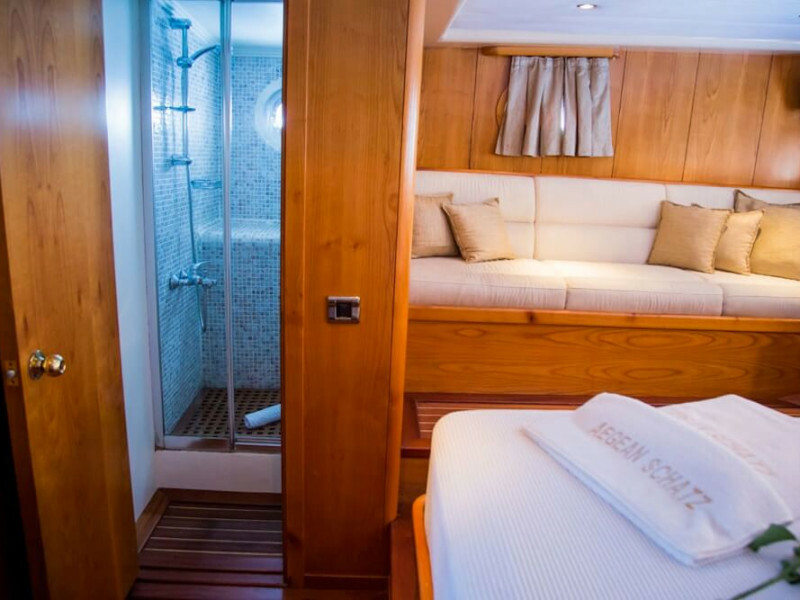 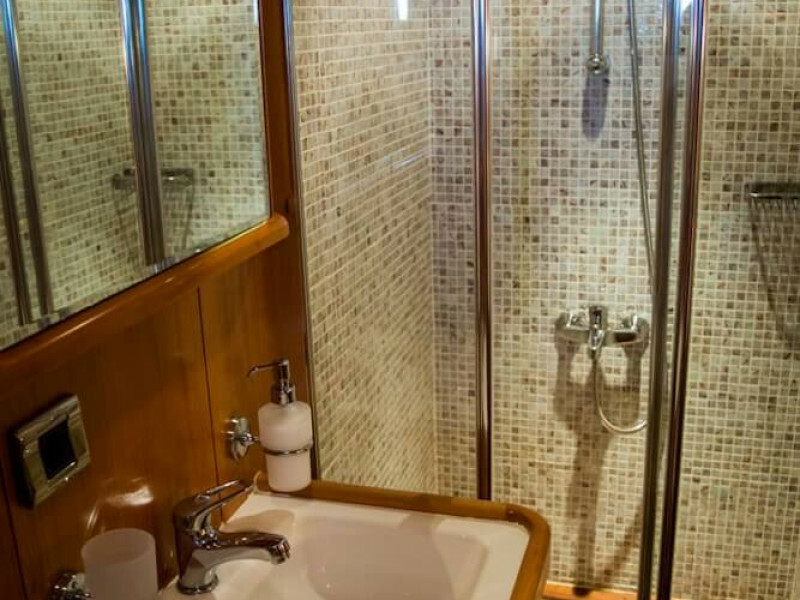 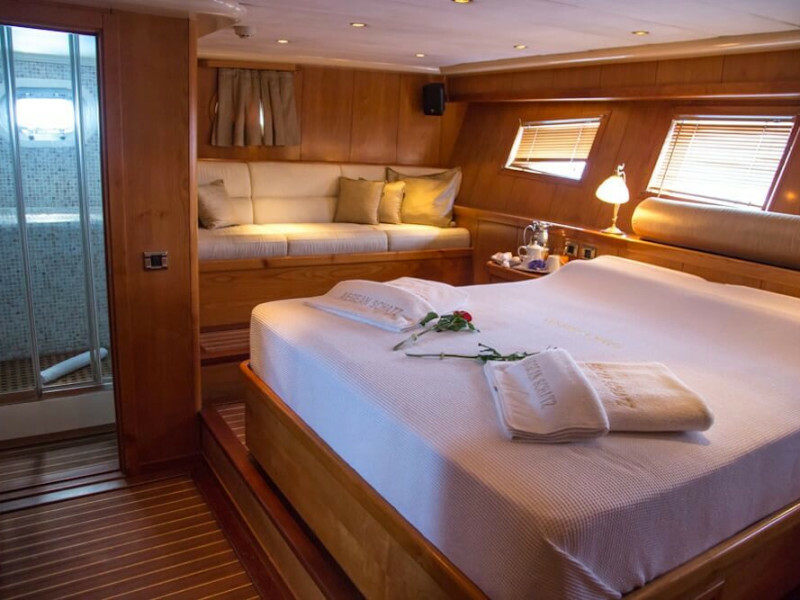 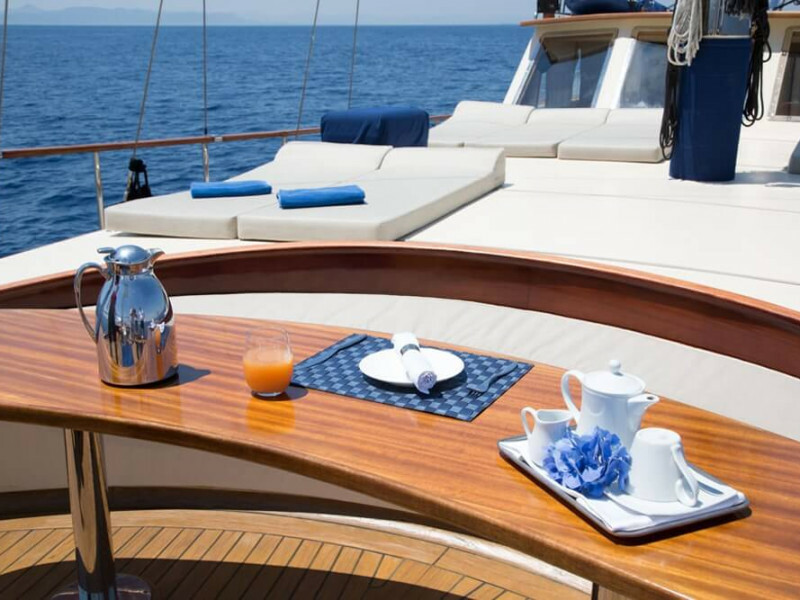 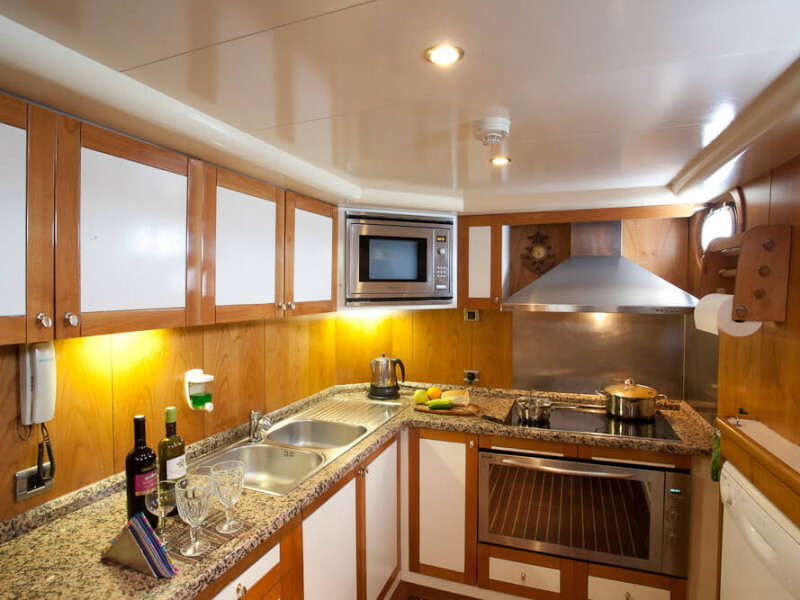 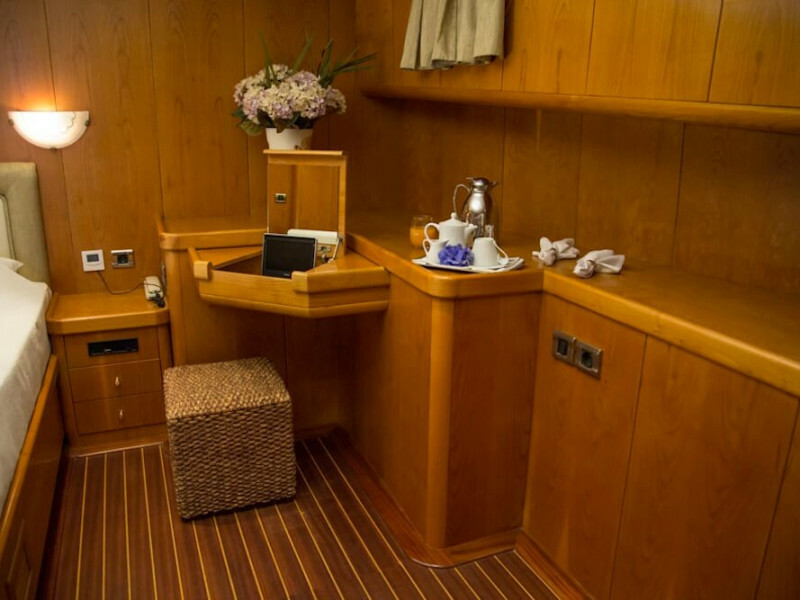 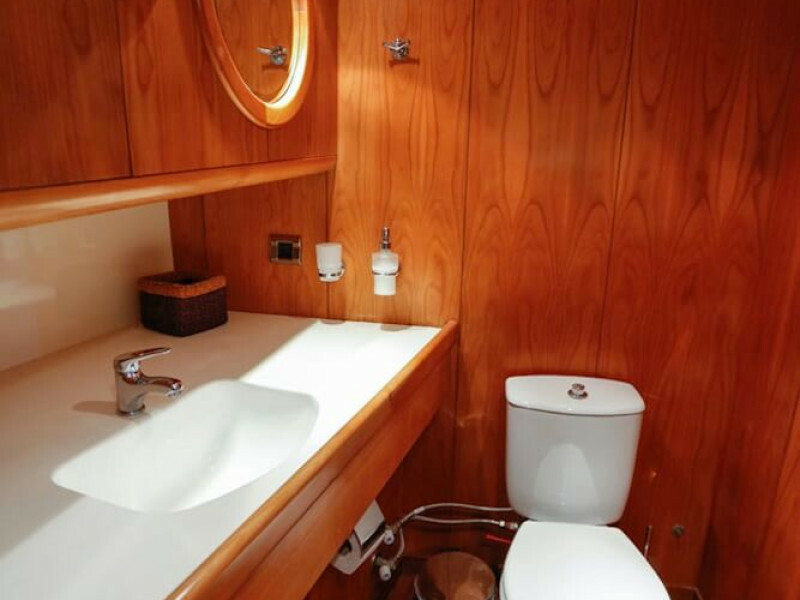 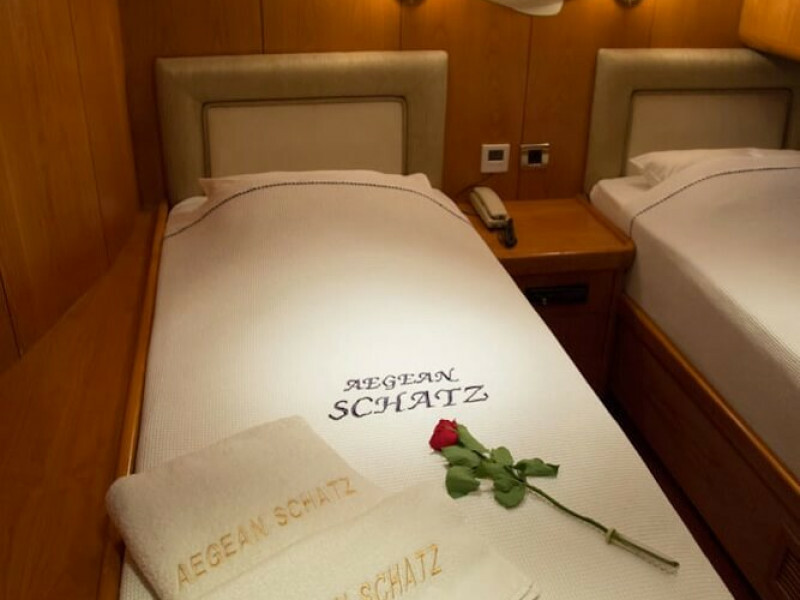 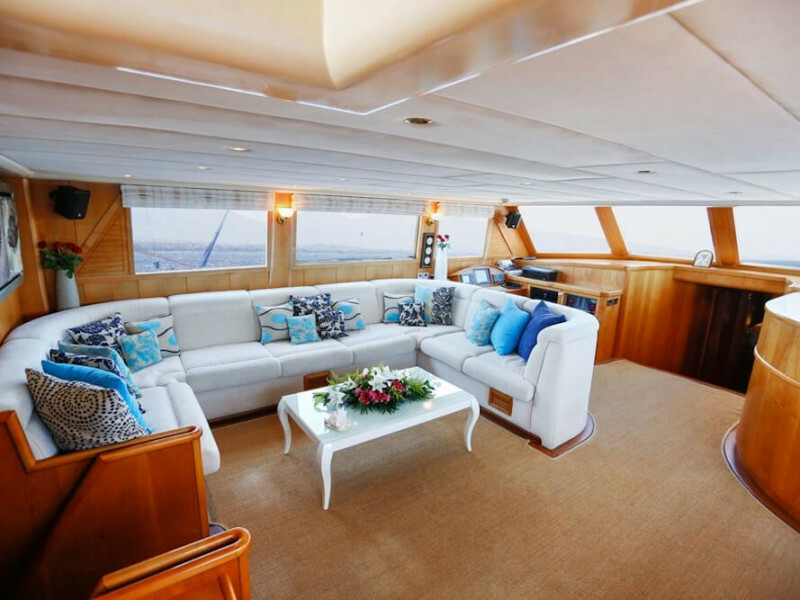 The 30m sleeps 10 guests in five cabins and features a first-class crew of five.